Australian soprano Suzanne Shakespeare holds a Postgraduate Artist Diploma in Opera Performance at the Royal College of Music International Opera School in London, graduating in 2010 as a multiple prize and scholarship winner. Suzanne also has a Master of Music Performance in Piano at the Victorian College of the Arts, University of Melbourne and a Licentiate of Trinity College London (Distinction) in both Voice and Piano, alongside an Associate of Music Australia in Viola. Recent operatic roles include: Marie La Fille du Régiment, Lucia Lucia di Lammermoor, Violetta La Traviata, Die Königin der Nacht Die Zauberflöte, First Lady Die Zauberflöte, Olympia Tales of Hoffmann, Musetta La Boheme, Susanna Le Nozze di Figaro, Frasquita Carmen, Erato Terpsicore, Rosina Il Barbiere di Siviglia, Donna Anna Don Giovanni, Morgana Alcina and Tytania A Midsummer Night’s Dream. Other highlights include her debut with the Royal Opera Linbury Studio, Opera North and Aldeburgh Music in their world premiere of a new opera Café Kafka, herdebut with Opera Australia and Scottish Opera in Die Königin der Nacht Die Zauberflöte, and her debut with Opera du Toulon in a series of Summer Concerts. 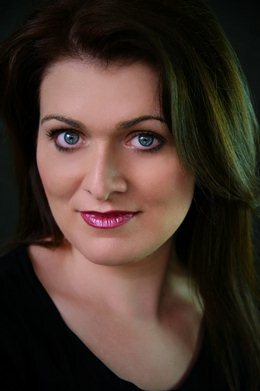 Suzanne is a past winner of the Stuart Burrows International Voice Award and was selected to participate in the Marcello Giordani Masterclass of Advanced Vocal Specialization for Opera Singers in collaboration with the Teatro Massimo Bellini Catania, Italy, resulting in performing at the Teatro Bellini with Marcello Giordani. Suzanne is a past winner of the Marten Bequest Travelling Scholarship, a Youth Music Foundation Australia British School at Rome Scholar and is a Samling Scholar. Suzanne and her husband, Andrew currently live in London.